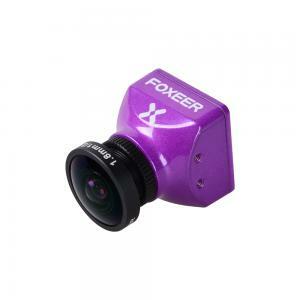 The FOXEER SP Racing F303 flight controller was designed for the serious racer. We have followed the idea of simplicity and kept the basic rugged design of servo style pinouts so you dont have to worry about the fragility of plastic connectors in a crash. 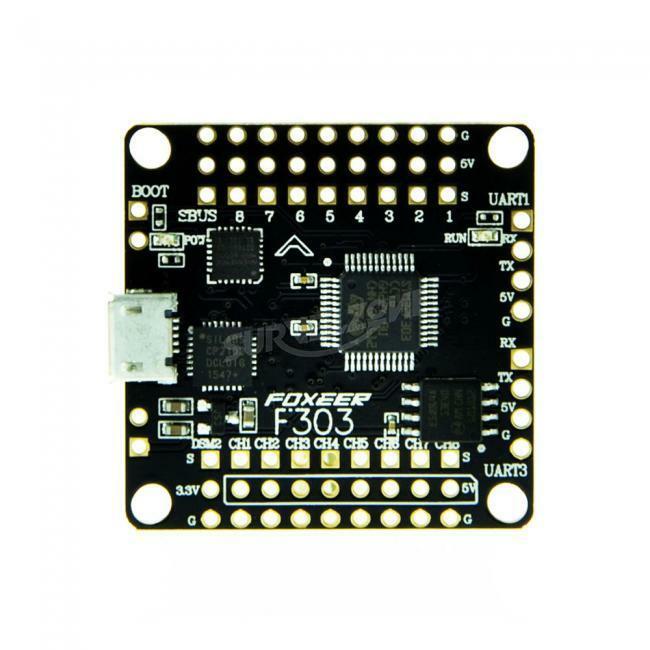 This F303 flight controller only comes in one version! 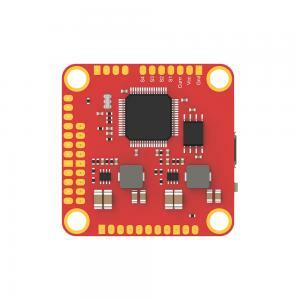 This is not a flight controller that is designed to fit the needs of everyone, it is a flight controller designed to fit the needs of racers and free style flyers. Built in high capacity black box featuring 8mb flash memory. 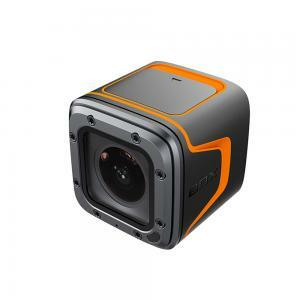 This will allow you to store an entire days worth of flights while you are out in the field burning through multiple batteries and flights. Next generation F3 processor for efficient flight calculations and those lower loop time youve been reading about. 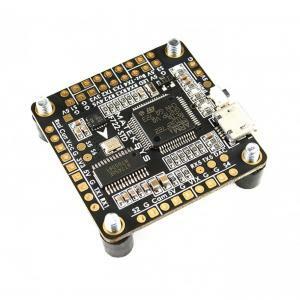 The size of the flight controller follows the form thats so typical in all the others allowing you to mount to the majority of the frames out on the market without the need of changing mounting holes on most base plates. 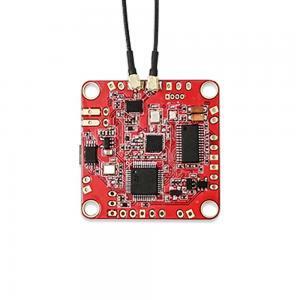 8 PWM I/0 lines for ESCs and added options you may choose. Supports Sbus, SumH, SumD, Xbus, PPM, PWM recievers but has a recommended and weight saving direct connection specifically for Sbus, which is our recommended connection for flight control. Buzzer port for audible lost model location. Convienent pin outs for easy, reliable soldering. Only available in Acro style, no barometer or magnetometer. 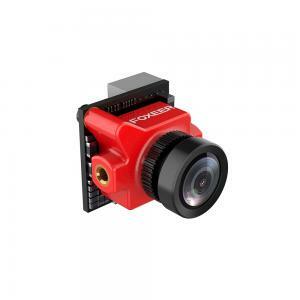 35x35mm form-factor with 30.5mm mounting holes and weighs just 6 grams. The F303 flight controller runs on the open source Clean flight software and its compatible with the Boris B. Beta flight firmware. The hex file to use is spracingf3 hex. Failure to adhere to these warnings will void your warranty and destroy your flight controller. Observe polarity at all times. Double check all connections before applying power. It is very common for users to accidentally reverse polarity, try not to let it happen to you. After double checking all connections its a good idea to triple check connections...positive to positive, negative to negative. Make certain all channel inputs match corresponding outputs or else undesired flight characteristics will happen. 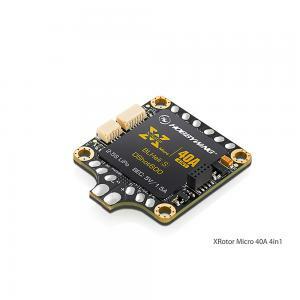 Keep magnets away from flight controller. So there is no voltage in on this board? Great board, SOLID performance. Especially on RaceFlight. They actually listened and removed all the connectors on the board. This is really one of the best F3 boards out there. Primarily because it's JUST a flight controller and not a PDB, BEC and whatever else.